0 Comments Published by Matt on Monday, November 3, 2008 at 5:16 PM. the new cabinets up! They got much further than I expected. cabinet installers to run electricity for the under cabinet lights. go out and get the right type of lights for this. Lastly, apparently the dishwasher wasn't disconnected from the water. back up and this lighting thing taken care of. 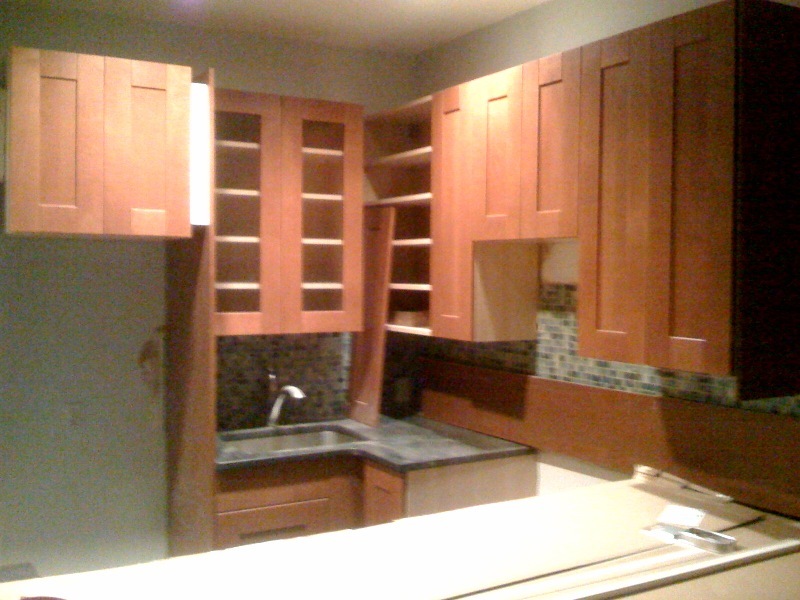 one of our kitchen renovation.